Work for accommodation and save money! Make your New Zealand travel last as long as possible! Working for accommodation is a great way to save money so you can afford to stay at a place for longer. Better yet, the work for accommodation options in New Zealand are an experience in itself. See what it’s like to live with a Kiwi family or meet a wide variety of internationals by living in a hostel. Improve your skills in childcare or even animal care in exchange for free accommodation. You’ll find you will get more out of these than just free accommodation. So check out the work for accommodation options and how to find them in our handy guide below. For more accommodation advice, take a look at our How to Live in a Hostel and Find a Flat in New Zealand. 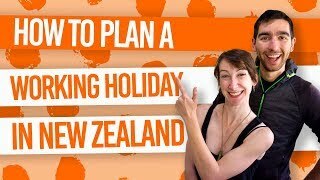 This is a great place to start when you hit a place you love in New Zealand and you want to stay a while to explore some more or find a job. 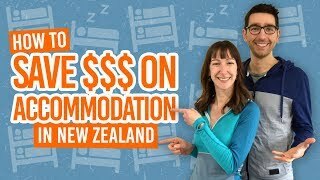 Working for accommodation in a hostel is very common in New Zealand and most hostels rely on long-term hostel residents to do a couple hours of cleaning a day in exchange for a bed. Many backpackers love this way of life for the social side and the money-saving side, as well as a few great life lessons you learn when working in a hostel. To find hostel work for accommodation, it’s not uncommon to just ask at reception whether there are any work for accommodation places going. If you want to plan a bit further ahead, browse our Job Listings page to see which hostels are looking for live-in workers. What originally used to be on organic farms in New Zealand, WWOOFing is now a broader term coined for working for a farm or Kiwi family in exchange for food and accommodation. With the food provided as well as accommodation, you’re sure to make an extra saving. WWOOFing is a great way to get stuck into the Kiwi culture and experience what it is like to live and work on a farm. You are usually expected to work 4 hours a day for 5 days a week. However, you can negotiate doing more hours for more days off work. To get a real idea of this popular backpacker experience, check out Everything You Need to Know About WWOOFing in New Zealand. There are two companies in New Zealand that are a great resource for finding WWOOFing opportunities: WWOOF New Zealand and HelpX. Check out our comparison between the two here. We also have a variety of WWOOF hosts posting regularly on our Job Listings. An Au Pair is a foreign person who lives with a family with the main duty of looking after the children. Not only is this a great way to mix with a Kiwi family and gain invaluable childcare experience, but you will make a huge saving as being an au pair includes food, accommodation and an allowance. Start looking for au pair opportunities through New Zealand au pair agencies, such as: Au Pair Link, Dream Au Pair, Playschool Au Pairs, Au Pair New Zealand and Rock My Baby. Some Kiwi families like to find their au pair independently so will post on local job boards in the supermarket for instance, or post online on job listing pages. When some Kiwi families go away on vacation, they hire a backpacker to look after the house. This almost always involves taking care of their beloved pets too. Housesitting is another great work for accommodation option, which you can find through New Zealand housesitting agencies, such as: Kiwi House Sitters, Home Sit, The Housesitting Company and Trusted Housesitters. Otherwise, keep an eye on the local job boards, bulletins and, of course, our Job Listings page. The Department of Conservation (DoC) are in change of maintaining most of the walking tracks, huts, campsites, conservation over the natural environment and historical buildings in New Zealand. However, they can’t maintain the conservation effort without the help of volunteers. Some volunteer conservation projects include accommodation, so make sure you check project pages when checking out how to volunteer with DoC. The volunteer project you are most likely to get accommodation with is through being a hut warden, located on one of the walking trails of New Zealand. Stay from a week to a month looking after the huts, meeting hikers and staying in some of the most beautiful locations in New Zealand. To find volunteer opportunities with DoC, check out the DoC’s volunteer page. Other ways of saving money on accommodation. Work on a boat. Be part of a crew with accommodation provide. Opportunities can be found on Find a Crew and CrewSeekers..
See if your waged job includes accommodation. Look out for jobs such as farm work and working for an accommodation provider. Instead of paying weekly rates in hostels, find a room to rent.